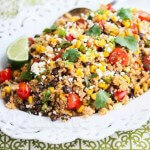 This Mexican Corn Quinoa Salad is a festive warm weather salad, perfect for a crowd. 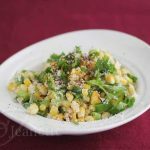 I love fresh corn, and although I enjoy it on the cob, I find it makes a great side dish when used in salads. I think warm weather is finally here to stay, so I have been trying to take long walks outside, and visiting our local farmer’s market as much as possible. 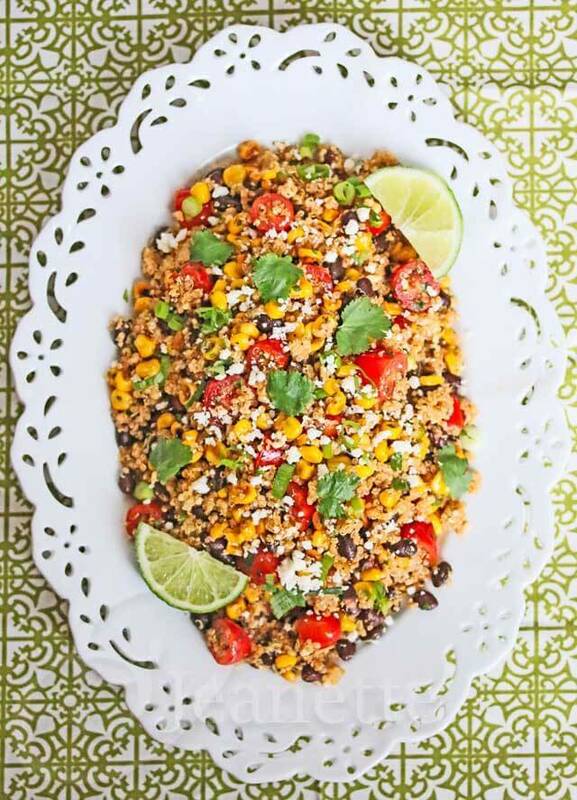 I made this Mexican Corn Quinoa Salad for a large gathering of women for one of our Bible study celebrations. I’m always trying to concoct something new for this group of ladies, while keeping it on the healthier side. 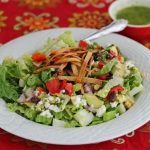 The idea behind this salad comes from the Mexican street food called Esquites, which is served in little cups. It’s a mixture of boiled or sautéed corn, mayonnaise, Cojita cheese, cilantro and chili powder. 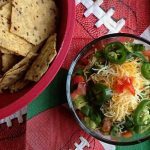 Sometimes jalapeño peppers are added too. What I love about Esquites is the combination of sweet (from the corn), spicy (chili powder), and salty (Cojita cheese). I find pan roasting the corn brings out the natural sugars and makes it taste even sweeter. Let’s talk a little about the health benefits of corn – whole corn that is, not processed. I have to be honest – for years, I didn’t consider corn a healthy vegetable. It wasn’t until I picked up a copy of The World’s Healthiest Foods a few years ago, that I started paying more attention to the unique nutritional profile that different fruits and vegetables have. Corn is high in both soluble and insoluble fiber. We need both kinds of fiber in our diets. Dietary fiber helps reduce blood cholesterol levels and may lower our risk of heart disease. 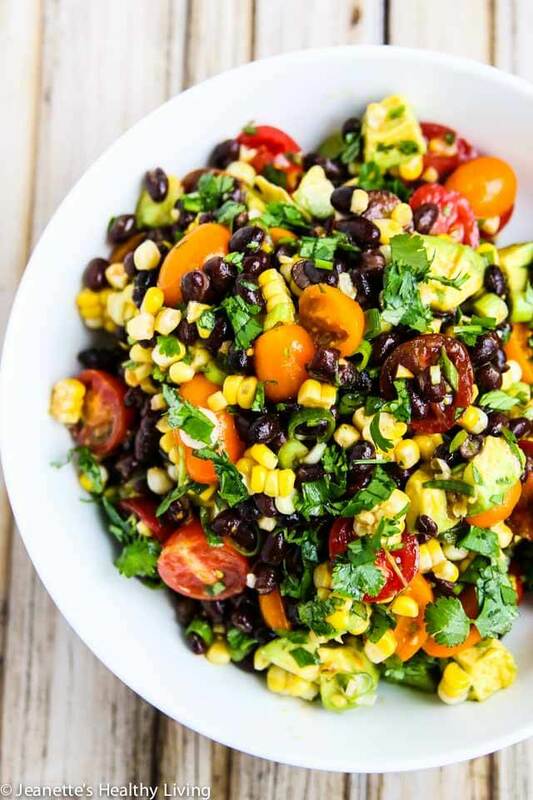 Corn contains two important carotenoids (lutein and zeaxanthin), which are relatives of vitamin A that support eye health and may have other disease-preventing properties. The important thing to remember here is to eat corn in its whole form. This makes a big batch. 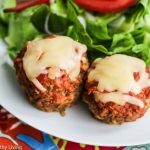 This recipe is on the milder side because I made it for a large crowd and wanted to make sure it had broad appeal. Spice things up even more with additional cayenne pepper or chili powder. Heat olive oil in a large skillet. Saute corn and garlic until corn has some brown spots (that's the caramelization that makes the corn even sweeter). Transfer to a large bowl and toss in the rest of the ingredients. Season to your liking with additional chili powder, cayenne pepper, salt and pepper. Cut recipe in half for a smaller group. Disclosure: This is a sponsored post by Kitchen PLAY in partnership with the Florida Sweet Corn Exchange for their “Put a Little Sweet in Your Step” event. Yum! This looks totally fabulous! 🙂 I would love to join the pin party, and my pinterest name is cupcakemufin. 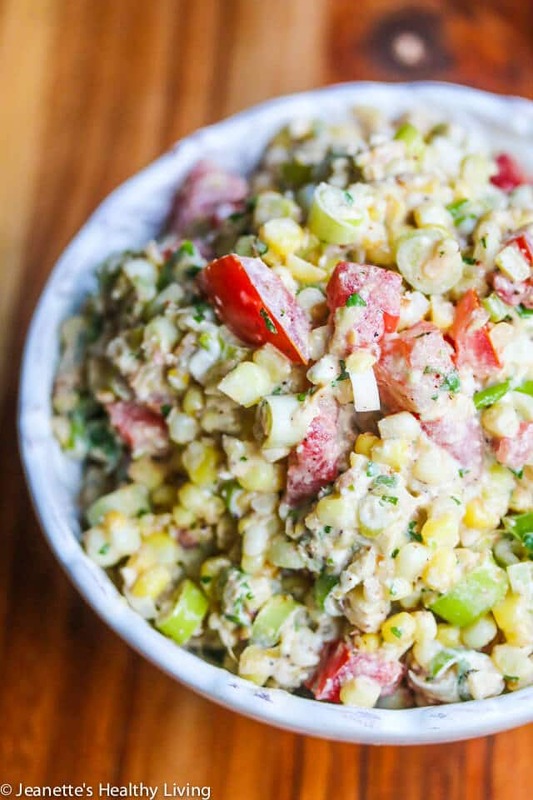 Thanks Sara – just sent you an invite to pin to our Sweet Corn Love board. Thanks for participating – can’t wait to see what you pin! Hi Sara – just sent you an email to invite you to our Pinterest pin party. 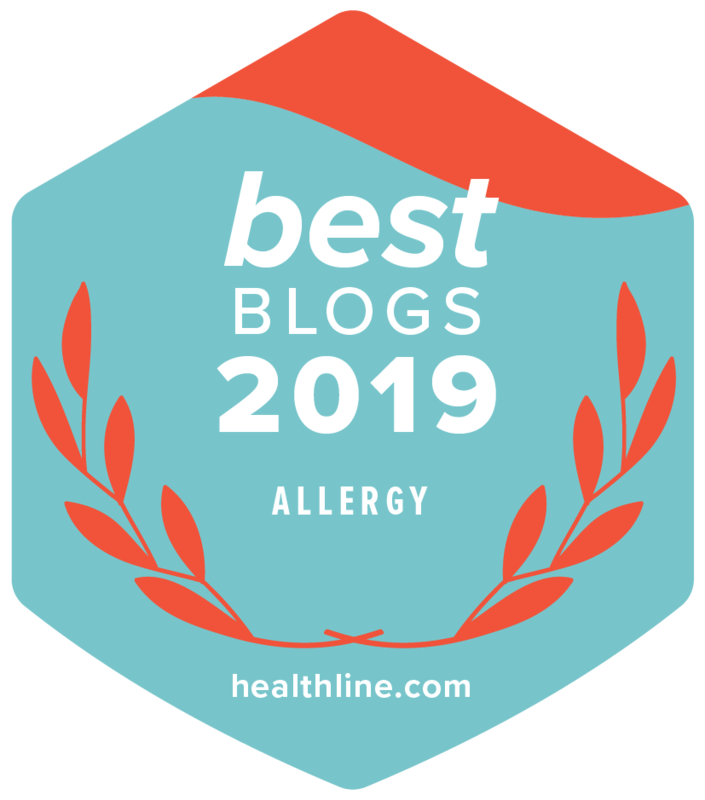 Thanks and happy pinning! Please add me to your pin party. Pinterest name is themrsschiffman. Cathy – I just sent you an invite to the Pinterest board. Look forward to seeing your corn pin! Hi Cathy – just sent you an email to invite you to our Pinterest Board. Happy pinning! 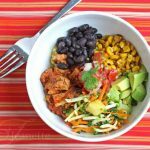 I love these big, fresh salads full of so many fusions and flavours! Marvelous, please invite me to your pin board. I assume that I should take a picture of what I make (sort of a duh question I guess) and put it on your board. Ok, we LOVE corn! Hi Margot – I just sent you an invite to the Sweet Corn Pinterest Board. You can pin a picture of a corn recipe you make or pin any other fresh corn recipes to the board. Thanks for playing! Hi Jeanette, thanks for the invitation, For some reason when I click on it it just takes me to a Pinterest log-in page (even though I’m already logged in), it hiccups then takes me to the main Pinterest page. This all happens really fast. When I found your corn board by searching I found that I was not on the list of participants. Maybe it’s a Mac thing, but it doesn’t work for me. Hi Margot, I think you have to follow all my boards to join my group board. Let me know if you are still having trouble after you do that. Thanks for letting me know. Hi Margot, I think we’ve got a solution – just sent you an email. Hope that works. Thanks! Great! Just sent you an invite to the board Alicia. Happy sweet corn pinning! Hi Alicia, just sent you an email to invite you to our Sweet Corn Pinterest Board. Happy pinning! 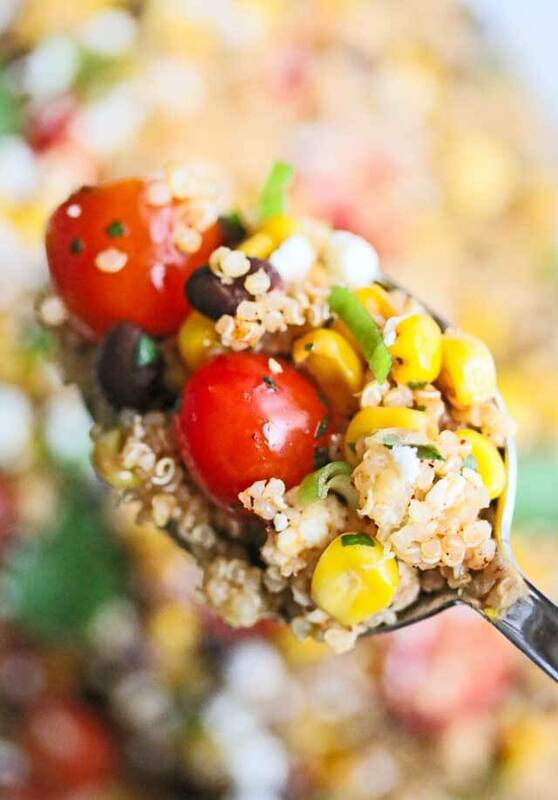 Thanks EA – quinoa and corn go together so well. Have fun with baseball this Spring! Wow! I am a HUGE fan of Quinoa. As many times as I have made it, I have not used this combo of flavors. Can wait to try! Thanks Chris – hope you enjoy this recipe! Hi Jessie, just sent you an email to invite you to pin to our Sweet Corn board. Happy pinning! What a fantastic salad, great combination of flavors. love that you used quinoa in this. 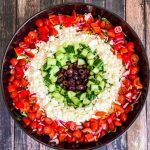 Thanks Cheri – this is a fun salad – great for a party! 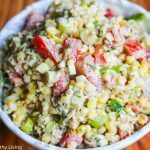 I just had this similar idea, but now I have the recipe too for summer! Thanks! I’d love an invite to your board. 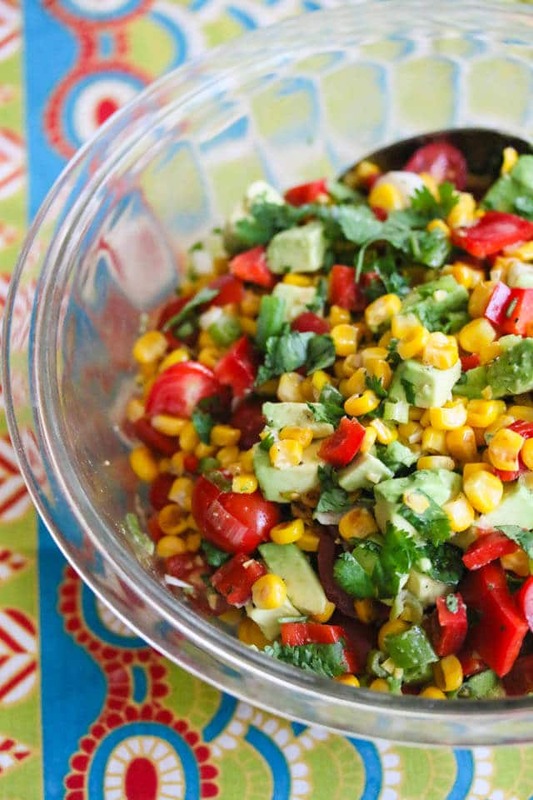 Corn is one of my favorite veggies! Just sent you an email with invitation information. Hi Teri, just sent you an email to invite you to pin to our Sweet Corn board on Pinterest. Happy pinning! Great combination of flavors & textures – it looks terrific. So bright and sunshiney. I love this salad! Thanks Terra – hope you’re doing well! Yummy! 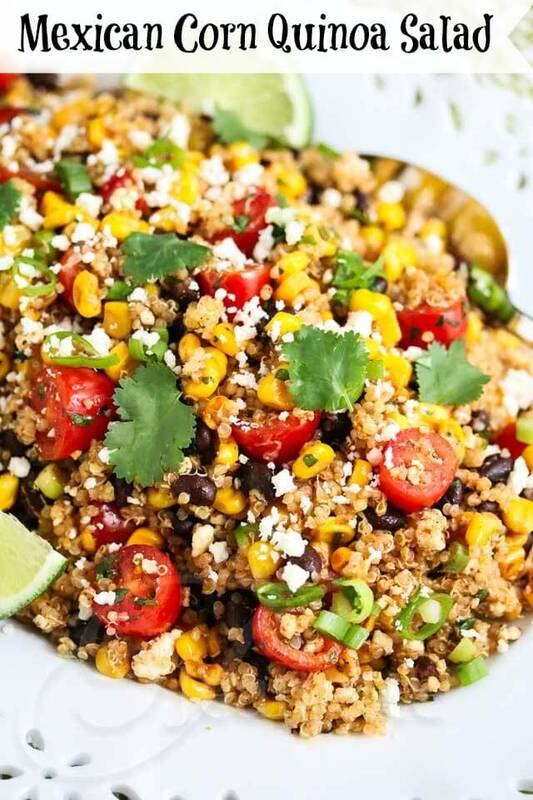 Mexican is my favourite and I’m always looking for new ways to make quinoa since it’s so good for you! This looks great! I think we are going to try it for dinner tonight. I’ve been looking for a good recipe to get us to like quinoa. Hopefully this is it! Gorgeous salad, Jeanette! Love, love, love. Thank you for sharing. Pinning (of course)! Just sent you an email with invite info. Hi Pam – I just sent you an invitation to our Sweet Corn Pinterest Board. Happy pinning! I printed this recipe out yesterday and plan to make it soon! Thanks Jeannette! Kelli – hope you enjoy this! I made it last night and LOVED it! I didn’t realize that I was out of cayenne pepper so I substituted it with some chipotle powder and it turned out well! Thanks Jeanette! Kelli so glad you tried this and loved it! Thanks for letting me know. 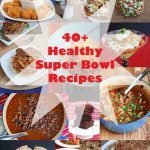 Chipotle sounds excellent – nice and smoky! Hi Lisa, just sent you an email with an invitation to join our Sweet Corn Board. Happy pinning! Hi Neiddy, I just sent you an email inviting you to our Sweet Corn Pinterest board. Happy pinning! Sorry forgot the @ part! Toni – sent you an invite – happy pinning! Thank you for the invite. I’m loving the corn board. Hi Amanda – I sent you an email – need your Pinterest name in order to add you to the board. Thomas, I just sent you an invite through Pinterest. Looking forward to your Sweet Corn pins. Mary – I just invited you to the board. Happy pinning! Karen, I just invited you to the board. Happy pinning! Christine, I just invited you to the board. Happy pinning! Why did you invite everybody but me? Hi Carolsue, so sorry it was an oversight. Please check your email – just sent you instructions. Happy pinning! We made this and loved it! Finally enjoyed quinoa. We did add chicken and ate it over squash (to meet our dietary needs). Toni – so glad you enjoyed this – great additions! Looking forward to hearing what you make next. Hi! Just a quick question. Is this a cold salad or warm? Caz – I served this salad room temperature, but it would good warm or cold. 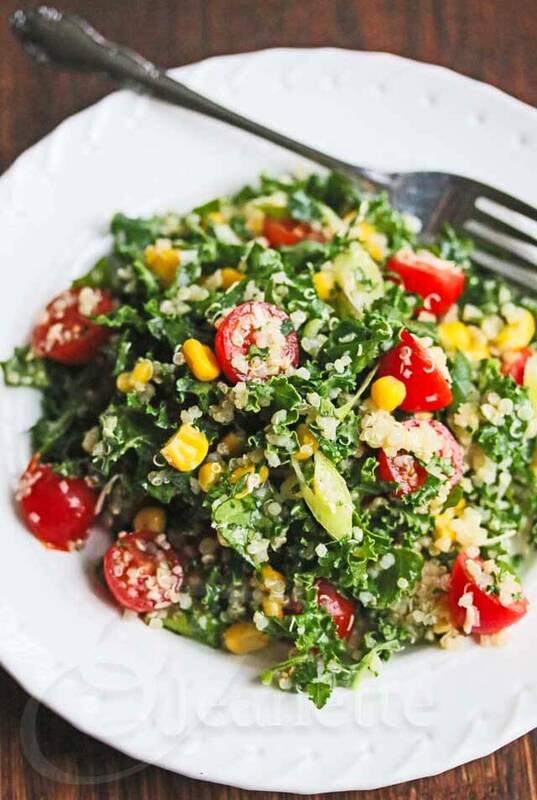 This dish looks so delicious and healthy! 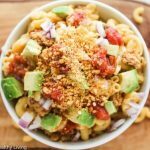 I love the ingredients and the flavors brought together here…thanks for sharing your recipe! I’m trying this out today for a family birthday party. It looks sooo yummy! I hope you all enjoy this today – thanks so much for trying it for your family celebration! We’ve been doing the same thing here for the summer. . farmer’s market and playing around outside. 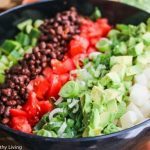 I LOVE this Mexican spin on quinoa salad! and it looks amazing!!! !